Twitter is a very popular tool among bloggers and its value to make any post appear in the Google search engine in real time can not be ignored. Obviously, a Retweet works better than your manual or automated tweet for the blog. Also, a good post which deserves sharing is nicely shared by retweets. When we started the blog, no one retweeted! Today, after every publication of a post number of retweets reaches 4-6 within few minutes. Many thanks to all who retweeted and will retweet. Not everyone is helpful in this World! Not everyone Retweets too. Try to find out the peoples who retweets. 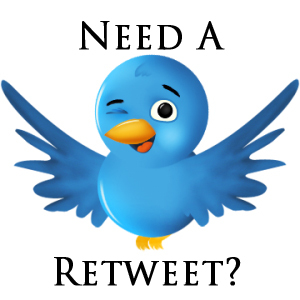 A small subtle request for a Retweet directly in the message also increases the chances that other forward your message. If you want that you get many Retweets, you might need to retweet your followers. Actually this depends on finding the best time to publish your post. Generally evening is the best time. Nothing special! Either use the official button or use some free WordPress plugin. It can be done automatically or manually. Giving a thanks ensures the high probability of Retweets. This Article Has Been Shared 869 Times! Cite this article as: Abhishek Ghosh, "8 tips for guaranteed Retweets of your blog post," in The Customize Windows, June 9, 2011, April 20, 2019, https://thecustomizewindows.com/2011/06/8-tips-for-guaranteed-retweets-of-your-blog-post/.